Wish I could CAD this well XD It looks great! Just takes some time and practise and you'll get there. The Hardox arrived from K-cut. Working on the Aluminium threaded bars, well I was till the tap broke and the drill bits went blunt. New Taps and drill bits ordered. Shame to hear about the drill bits but those are some nice hardox pieces! 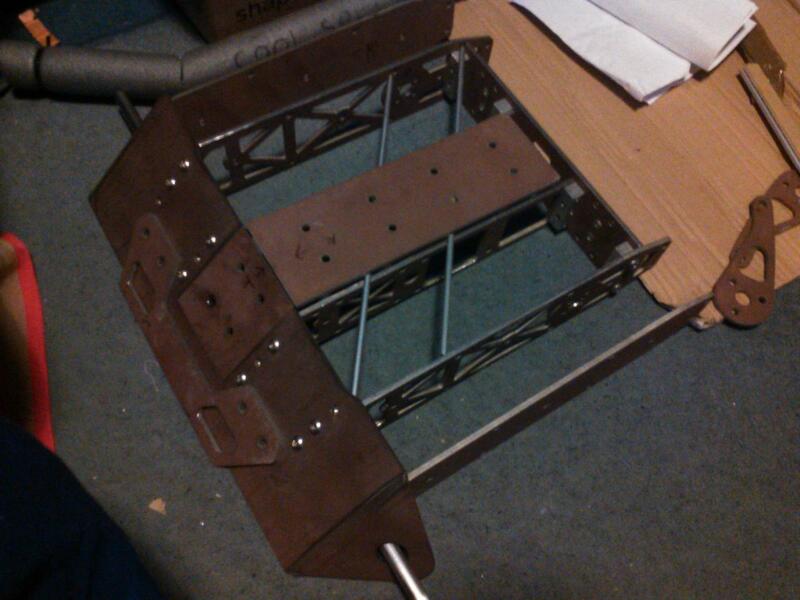 Didn't realise the build was this far in progress, looking promising. Yeah this build is speeding along. I'm trying to improve on my past build time of 18-24 months. Looks fine congratulations, love it. Can k-cut make angled cuts for the wedge, or do you grindig it in shape? Kcut are a water jetting firm who also have access to a press. They would of cut out the metal as designed a d bent it if required. They can only do straight cuts. Which also means all parts have curf on them. 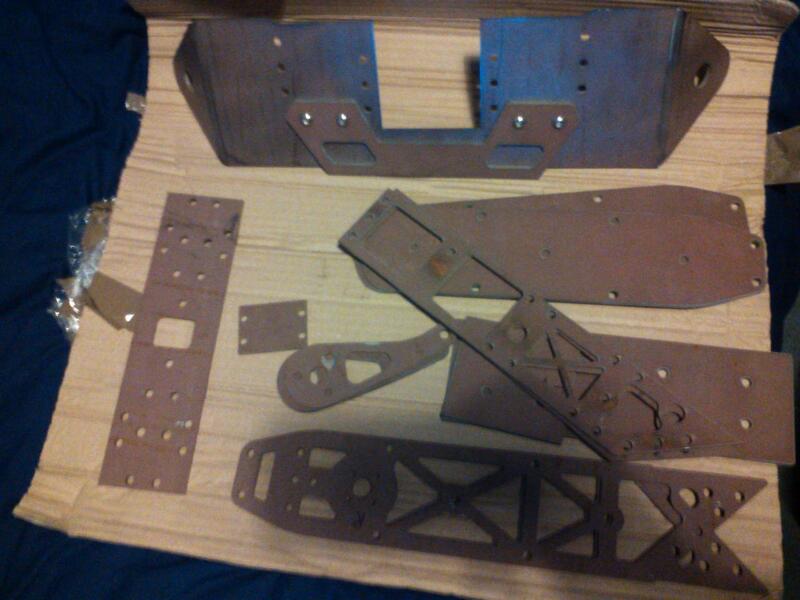 If you get a 3d waterjet, or one that compensates for curf you can get perfectly straight cuts or any angle you want. After a few days work, I’ve got a pretend-O build, I’ve finally moved CSB 2.0 from the floor to its cradle. 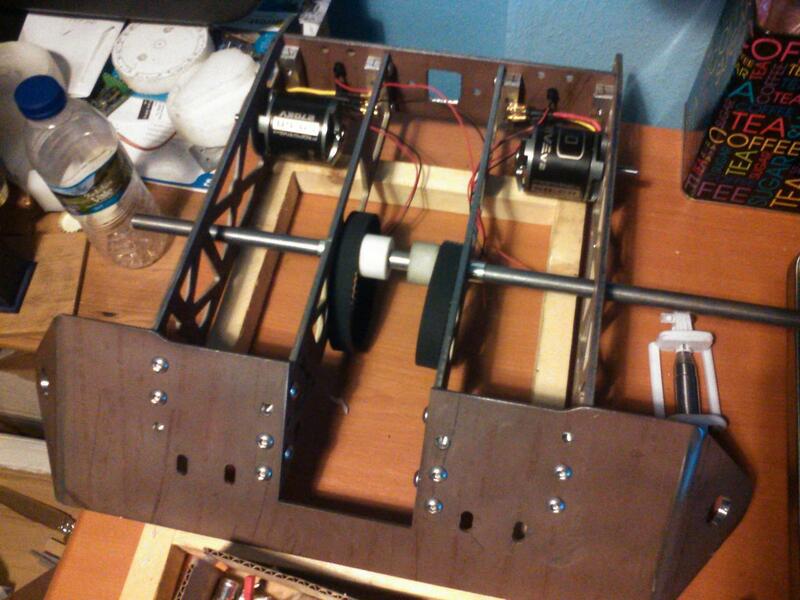 I also test fitted the motors and part of the weapon mechanism (using the locking bar as a stand in for the shaft). Some of the threaded bars are a bit off in places so might replace them otherwise I'm going to have to do a lot of hole filling and resizing. Granted I'm dreading having to countersink some of the holes.